Trinity Mirror has appointed a South Yorkshire software company to streamline its recruitment process. 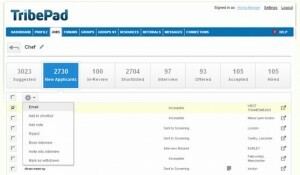 The 'Social ATS' platform from TribePad will allow the publisher to manage its entire recruitment process internally. The platform, which will move Trinity towards a direct-hiring model, will be used to recruit for a range of roles associated with its newspapers, websites and digital products. It will launch next month. TribePad is already used by G4S, Sodexo and Brakes Group, and earlier this month the BBC partnered with the company to launch its Careers Hub. Based in Sheffield but with a registered office in North Yorkshire, Tribepad was launched in 2012 by Scales, Alexis Twigg and Dean Sadler.